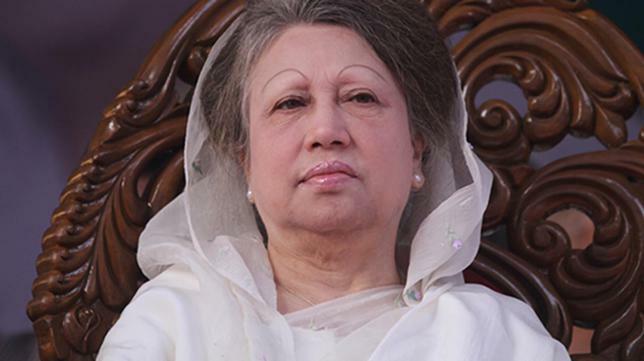 BNP Chairperson Khaleda Zia is going to sit with her party’s vice-chairmen on Saturday night to discuss the country’s latest political situation and organisational issues. The meeting is scheduled to be held at the BNP chairperson's Gulshan office around 8:30pm, Khaleda’s media wing member Sayrul Kabir Khan informed, reports UNB. A BNP leader close to Khaleda wishing anonymity said Khaleda will discuss the country’s latest political situation, organisational issues and seek the party leader’s opinion about its future course of action. Issues like upcoming city elections, including Rangpur ones, framework of the election-time government and Khaleda’s plan to visit some metropolitan cities and districts may come up for discussions at the meeting, he said. The BNP leader also said Khaleda may seek opinions of the vice-chairmen about the election-time government framework and how BNP can mount pressure on the government to realise the party’s demand for holding the next polls under a neutral administration with the deployment of army. Earlier on Wednesday, the BNP chief had a meeting with the top leaders of her party-led 20-party alliance.